Lilia Houshmand nearly gave up acting. As a 19-year-old theater student at the University of California, Berkley in 2011, Houshmand worried that the majority of roles in high school and college weren’t meant for her. “I was wondering, ‘Where do I fit in?’” said Houshmand, who is of Persian descent. Disheartened but still in love with theater, Houshmand explored off-stage positions, such as stage management, production management and directing. Then a trip to the Oregon Shakespeare Festival in Ashland, Oregon, in 2012 changed everything. “I remember seeing their rendering of ‘Troilus and Cressida,’ and it was the first time I saw someone on stage that looked like my Dad,” she said. The daughter of immigrants, Houshmand said the experience of seeing a person closer to her heritage on stage transformed her ambitions. “It was this huge moment where I realized the only thing to stop me was myself. It opened my heart,” she said. Seven years later, Houshmand is the 2019 recipient of the Rex Rabold Fellowship and has been invited to appear on the same Oregon Shakespeare Festival stage that shifted her faith in her career. Named after Rex Rabold, a 1976 University of Idaho alumnus, the fellowship selects one U of I graduate by audition to perform with the Oregon Shakespeare Festival. Rabold worked with the theater company for nine seasons, inspiring thousands of lives through his performances, teaching, creativity and generosity, before he died at the age of 39 in 1990. As the 2019 fellowship recipient, Houshmand will receive an acting stipend and housing for one year, and may be invited to return to the company for two or three years following her award. 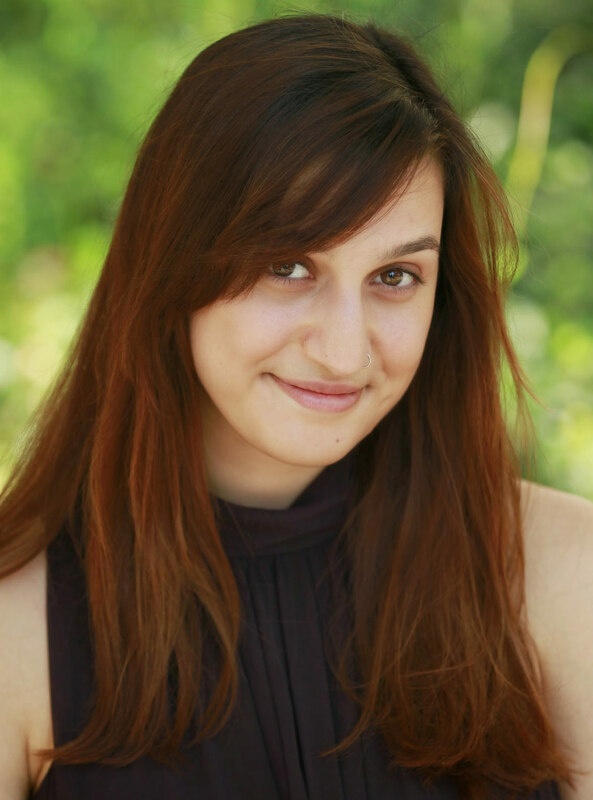 While Houshmand was working toward her Master of Fine Arts in performance in U of I’s Department of Theatre Arts, she appeared on the Hartung stage as Tamora in “Titus Andronicus” as Catherine in “Proof,” and as Moon in "As You Like It." She also spent a month in Moscow, Russia, in 2016 immersed in the study of acting, movement and voice. She graduated with her MFA in December 2017. Houshmand said preparing to audition for the Rabold Fellowship was overwhelming, but she was ready.